Join or renew your SEGD membership in August and you could win a free year of membership or a firm listing! Future employers. Potential clients. Industry partners. Fellow designers. Showcasing yourself and your skills is good for your professional development and good for business. As an SEGD member, you have access to a network of nearly 2,000 experiential graphic design professionals, educational resources and tools tailored specifically to the experiential graphic design community. 1. Post your member bio. The SEGD.org website receives more than 3 million page views a year. 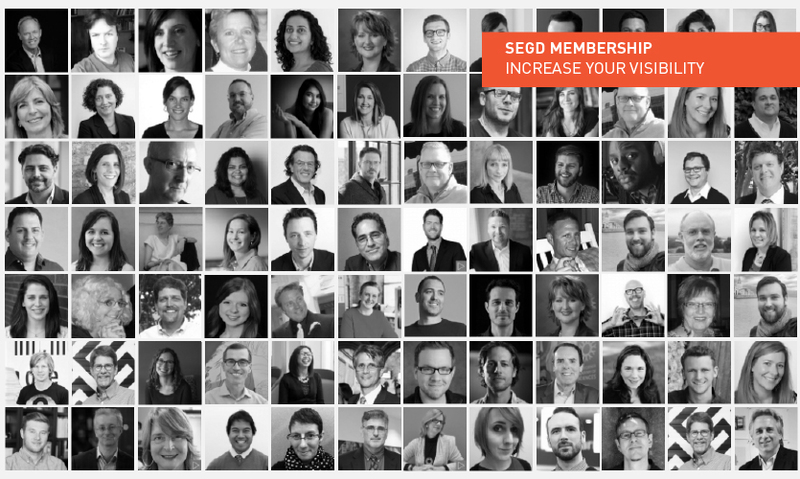 Be seen by all of those visitors by posting a member bio.This benefit is free to SEGD members. 2. Submit a member news story. Do you have a project you want to showcase? A professional achievement you want to tout? Send a write-up or press release to [email protected],and your news could be featured on the SEGD.org home page and selected for our weekly newsletter, with a distribution of 40,000. This benefit is free to SEGD members. 3. List your firm on SEGD.org. Showcase your firm’s work and expand your digital profile with a Firm Listingon SEGD.org. Firm listings are highly ranked for XGD content, so your listing will receive top billing on SEGD.org, as well as through Google. But, your firm will only come up in SEGD.org search results if you have a Firm Listing. This benefit is available at a discount to SEGD members. 4. Post your opportunities (or find your next opportunity) on SEGD Jobs. The SEGD job boardis the best place to showcase your opportunities in XGD. It’s also the best place to find great employers in the industry. Job postings are available at a discount to SEGD members. 5. Become a sponsor. As an SEGD Sponsor,you not only reach the attendees at SEGD events and the conference, but you also build brand equity across the global community of experiential graphic designers, clients, suppliers and partners. Sponsorship opportunities are only available to SEGD members. Take advantage of all of SEGD’s opportunities to increase your visibility. Join or renew your SEGD membership in August and you could win a free year of membership or a firm listing!